The Portrait Secrets Salon is the creation of Amy Walton. She has combined two of her favorite things, collecting anonymous portraits and story telling, thus creating an entertaining literary event that is packed with home spun culture. 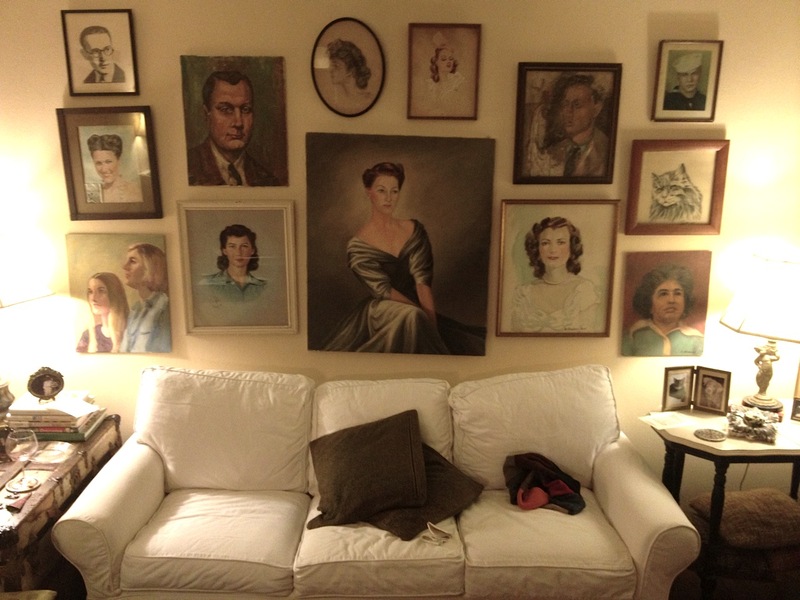 She began collecting portraits years ago, finding them at flea markets, thrift stores and under random rocks. These anonymous paintings, drawings and photographs cover the walls of her living room and a few random strangers now adorning in her bedroom. When asked about the portraits, Amy would reply "I don't know who they are, I simply like them". Over time this response left Amy feeling flat. 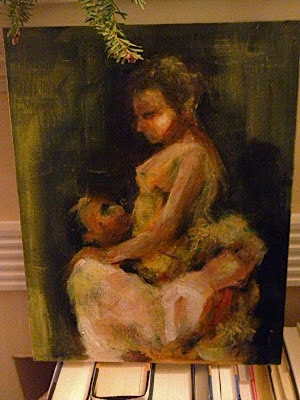 It didn't convey the playfulness and affection that she felt for her collection. So she decided to recruit a few friends flesh out her collection by asking them to write short histories about some of her portrait pals. For her second gathering of the Portrait Secrets Salon, I was one of seven people who had the pleasure of giving voice to one of the canvas personalities. I recounted the story of Susan and the Plumbers Dilemma. A coming of age story with drama, passion, and trouble with the pipes. It surprised me how much fun it was to write this little narrative, to dabble in the romance genre just for a bit, and to create something that was simply fun. Check out the Secret Lives Of Our Portraits website where showcasing some of the portraits and their stories.